I haven't posted here in nearly six weeks (you don't need to hear the excuses), but I don't want to let the month of August go by without a single post- it'd be my first completely blogless month since first starting Hell On Frisco Bay in 2005. 1. The San Francisco Cinematheque has announced its full program on its website. 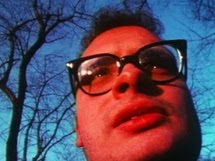 I don't have time right this moment to break down all the deliciousness in the programming, but since today is the 69th birthday of George Kuchar (and his oft-collaborating twin Mike Kuchar), I should definitely highlight the December 8 & 16 screenings of his films, from works as well-known as Hold Me While I'm Naked to those as rare as Aqueerius. 3. Cheryl Eddy's fall repertory film preview from last week's SF Bay Guardian summarizes nearly all of the local screening venues' and organizations' fall highlights. Yes, Fall starts this week at many of our beloved venues. 4. One Frisco Bay venue Eddy's piece does not cover is the UA Shattuck in Berkeley, which runs a Thursday night repertory series for five dollars a ticket. Here's an article listing all the titles being brought through November. Though a few are digital screenings, most are 35mm prints, some of them of films that rarely get projected these days. Note the September 15th showing of Jacques Tourneur's Curse of the Demon, or the October 27th show of John Carpenter's The Thing. Though other websites indicate to the contrary, tomorrow night's 35mm screening of Metropolis is not a version of the 1927 Fritz Lang silent film, but of the 2002 Japanese animation (and, to my memory, Fifth Element ripoff) by Rintaro. 5. 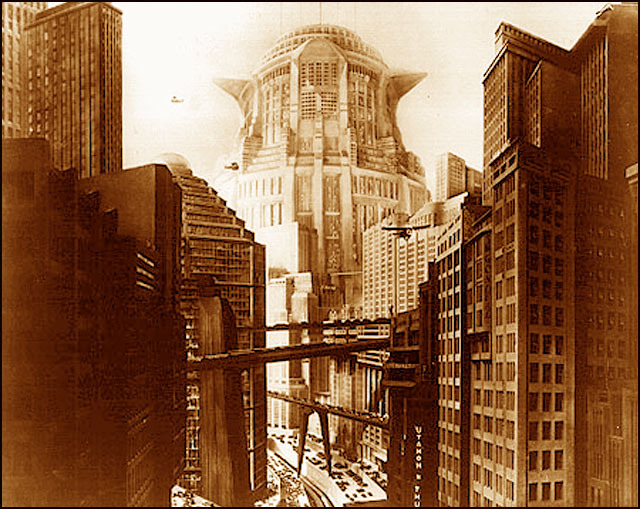 However, according to Kino International, Lang's Metropolis will come to the Castro for one screening only on October 27th. No, not the near-complete cut that's been popping up on Castro calendars for over a year now, but the Giorgio Moroder cut from the 1980s, complete with music from the likes of Freddie Mercury, Pat Benatar and Adam Ant. It's all in preparation for this version's release on DVD & Blu-Ray the following month. It seems strange that Kino is able to put out this version, when they were prevented by German rightsholders from providing Alloy Orchestra as an alternate score for the DVD/Blu release of the "Complete Metropolis" last year. But what do I know about these kinds of wheelings and dealings. Anyway, this seems the apropos moment to provide an extra, fifth-and-a-half link to the site where you can buy a compact disc with the Alloys' complete score, which it's possible to play while watching the DVD at home. I wonder, since the Alloys' first Metropolis score was synced to the Moroder cut, could they make available a version we could play on headphones during the upcoming Castro screening?